BETA 52A, Dynamic Microphone from Shure in the BETA series. MatrixClaw's review"Best All-Round Bass Mic"
I really can't say enough good things about this mic. People tend to have a huge bias towards a certain brand and model of kick drum mic they like (Shure Beta 52, AKG D112 & Audix D6, mainly), and while I've tried all 3 major contenders, the Beta 52 is certainly the most well-rounded. There are certain applications where I'll find myself using a D6 for the kick (mainly if we want a lot of attack and click), but for nearly every drum, I prefer the huge tone the 52 produces. Personally, I'm not a fan of the D112 on kick (I do really like it on a bass cab). The Beta 52 just seems to "work" on everything. You can literally throw this mic inside the sound port on any kick drum (assuming it's fairly well tuned) and dial in a usable tone. For metal, one might prefer the D6, but unless you're only tracking metal, the Beta 52 is certainly the way to go. The Shure Beta 52A is a dynamic microphone specifically tailored for use on the bass drum. The very shape of the microphone makes that pretty obvious. 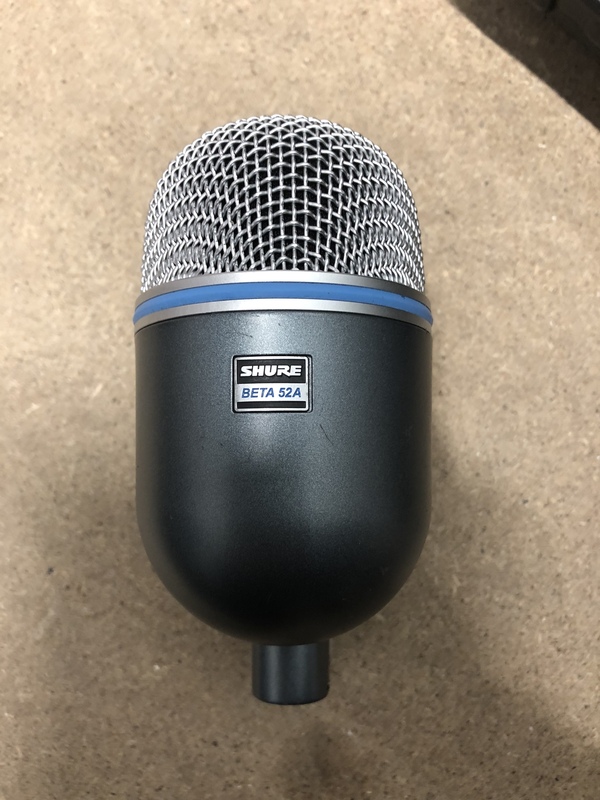 The Shure Beta 52A has that special low end extension in the frequency response, bringing it from the standard and acceptable 20-20,000 Hz to an incrementally more impressive 10-20,000 Hz. While humans can't exactly hear down that low, this extended response does make the microphone sound much better for this application, and you can hear the low end not directly because of the low end extension, but because of the way the frequency curve approaches that bottom. Couple this with a staggeringly impressive SPL rating at 174 dB and a nice little presence boost in the midrange, and you are in for a microphone with some, pardon the pun, kick. Shure includes a rather sorry pouch with the microphone that doesn't really do much, but it's there. The microphone, to go back for a second, is structurally speaking, quite a piece of work. I'm always impressed with how solid all of the Shure microphones feel. The Shure Beta 52 is specialized for the kick, and it does not disappoint in this regard. In truth, most of the kick drum microphones are quite acceptable and on par with each other, and being more of a vocalist, I was going to be impressed with any of them, considering the fact that I am used to having someone stick an SM57 on the kick and EQ it up later. Having friends who mic up bands can make me feel just a little bit inadequate, because I don't have access to the same specialist equipment that they do, and I'm not exactly going to feel so great about micing up kick drums anymore. Thank goodness it is not a regular occurrence for me. 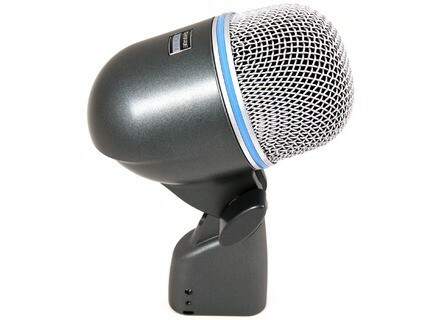 This is microphone is ideal for studio use as well as live use. I see this mic in studios and on stage almost everywhere I look. This is a Dynamic mic with a modified supercardioid pattern that is designed for use with Kick Drums and other Bass Instruments. What I like most about this mic is its high quality sound. It captures the Kick drum excellently. Every recording I have made with drums I have reached for this mic. It provides a nice thumpy warm sound while rejecting almost all other noise (sometimes the snare can get through). I also love to use it on my bass amps. It brings the same warmth and clarity on those as well. It also is one solid (and heavy) mic. I definitely feel I could drop this thing from up high and have no problems with it (not going to do that though). I am a big fan of Shure. All there products I own work flawlessly and should anything happen, they have an excellent return policy, even for highly damaged/out of warranty items. Check it out on there website. What I don't like about this mic is the same thing I don't like about all of my Shure mics. The "protective" bag they ship it with is really nothing more than a super thin leather-like material pouch. I don't understand why they would send out such awesome mics without a strong case to ensure the safety of the mic over the years. Even cheap mics like behringer's come with hard plastic cases. 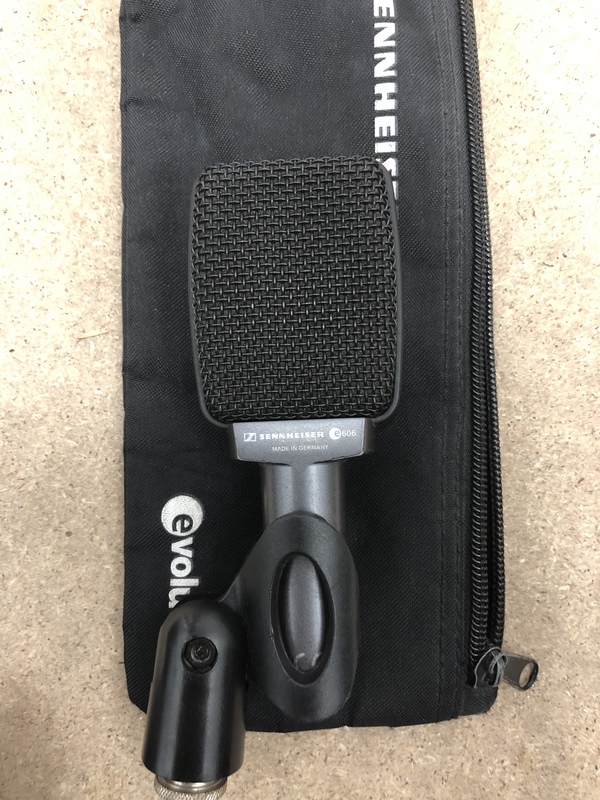 Other than that one flaw that is not really related to the MIc, this is an excellent mic and one of the the most popular Kick mics on the market. I paid $150 brand new for this mic. I am very happy with that price and would have paid a little more if I had too to get this classic sounding, solid piece of equipment. The sound Quality is superb and very precise. While in a very nice studio doing some recording, we were juggling between the 52a and a Audix D6. After a few comparisons, we went with the 52a. It seemed to have more response and clarity, not buy a huge amount, but enough to decide which to use. If anything ever happened to this mic, I would have to get another one, no if's and's or but's. The Shure Beta 52A is a dynamic microphone used in both the recording studio and live setting. I have used it mostly in the recording studio, but have seen it used on a stage as well. It is an effective microphone in both situations in my opinion. 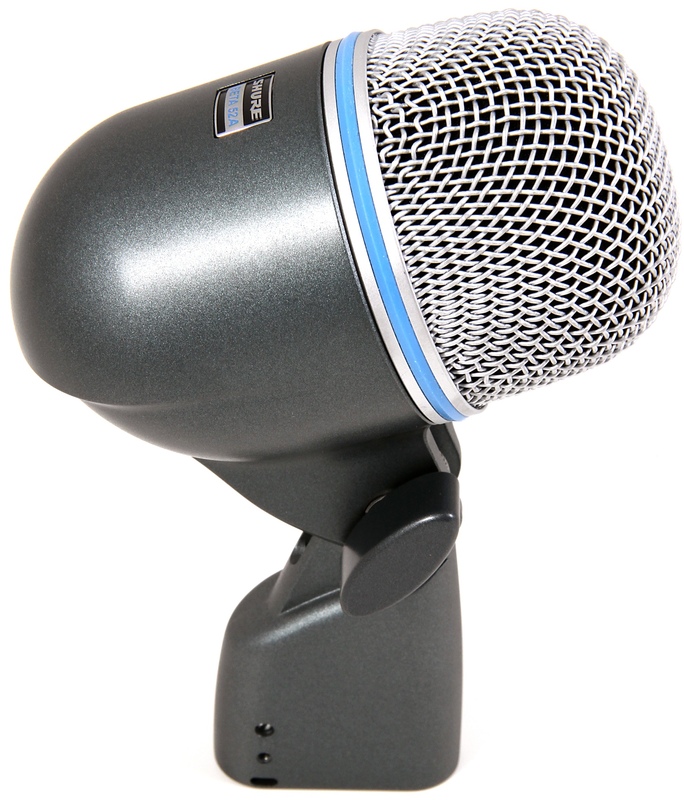 The Beta 52A is one of the industry standard microphones use for kick drum. It is the perfect shape for sticking inside of or in front of a kick drum. 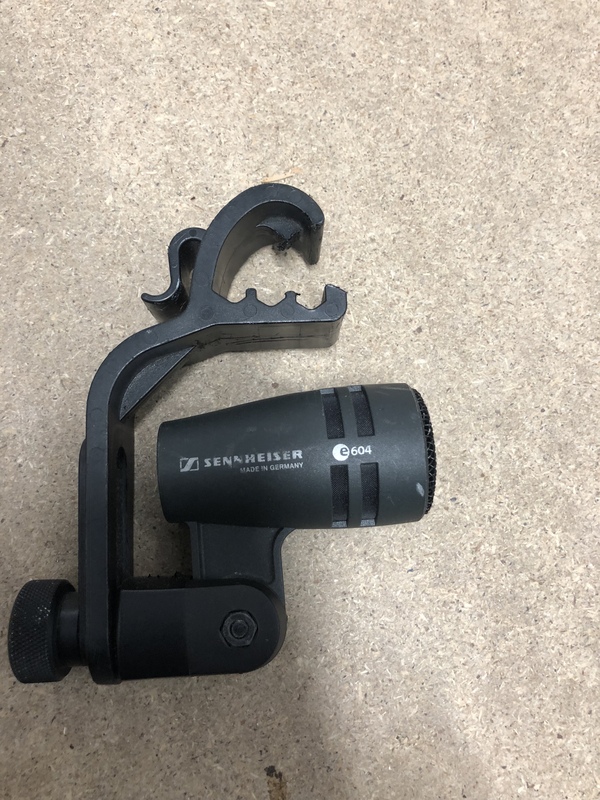 It has a mount that makes it easy to swivel and place inside of the kick drum. While it is primarily known and marketed as a kick drum mic, it has a number of different uses beyond the kick drum. I've been using the Beta 52A for about three or four years. When I was deciding what type of kick drum microphone to buy I decided to buy both a 52A and an AKG D112 and shoot them out to see which I liked better for the sound I was trying to achieve. In the end I end up keeping the D112 and selling the 52A, but this does not mean the 52A isn't a good mic. I liked both of them, but I felt the D112 had a better sound for recording kick drum, while I liked the 52A better for micing and bass drum cabinet. I record more kick drums than I do bass cabinets (as I usually record bass direct) so I decided to keep the D112. They are around the same price, which is reasonable, so I made by decision based on what I needed more for my needs. This being said, the Beta 52A sounds great on both a kick drum and a bass cabinet and is a great all around microphone for picking up things with a real low end. If you are looking for a bass guitar amp mic or a kick drum mic I would encourage you to check out both this mic and the AKG D112.